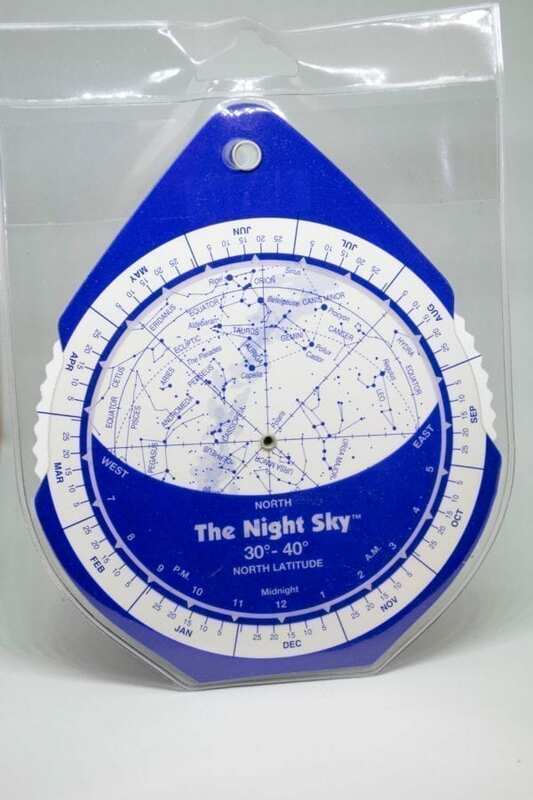 The Night Sky is a rotating star finder (planisphere) that allows the user to recognize the constellations for any time of night, any day of the year. The sky appears to rotate (due to the rotation and orbital motion of the earth), so to be successful recognizing the constellations a beginner needs to know which stars are above the horizon at any time. 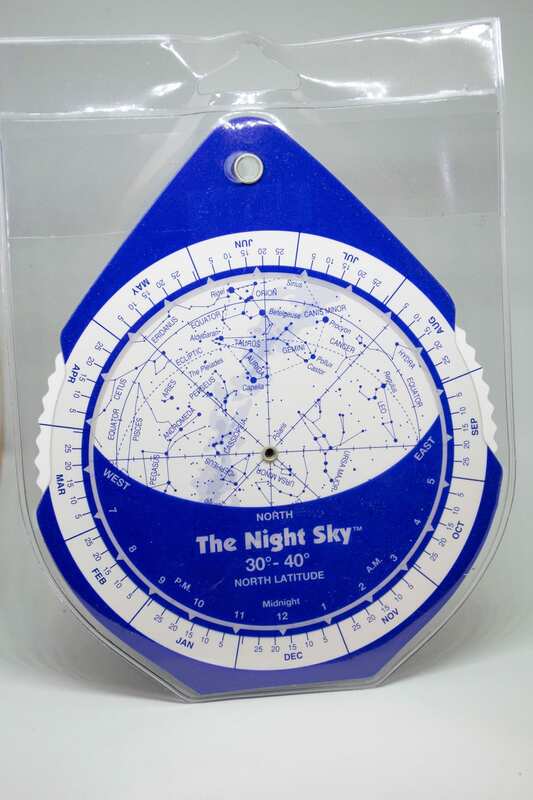 This is the pocket-sized version of The Night Sky suitable for the southern half of the United States, North Africa, and the Middle East. 30 degree to 40 degree latitude zone version.